A wastewater treatment plant upgrade in Brooklyn, NY, is the seventh infrastructure project in North America to earn an Envision sustainability designation from the Institute for Sustainable Infrastructure, which was co-founded by ASCE. 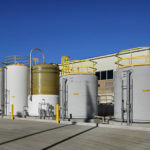 The New York City Department of Environmental Protection received the ratings system’s silver award for an ongoing $150 million upgrade of the 26th Ward Wastewater Treatment Plant in Brooklyn. 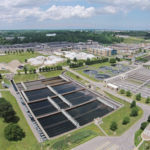 It’s the first wastewater treatment plant in the United States to qualify for an ISI Envision award. 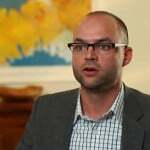 Envision measures sustainable infrastructure projects through the measurement of five categories: Quality of Life, Leadership, Natural World, Resource Allocation, and Climate and Risk. With Greeley and Hansen as the design lead, the Brooklyn project provides primary treatment redundancy and uniform grit distribution at the preliminary settling tanks during wet-weather events, along with associated structural, architectural, electrical, and instrumentation upgrades. 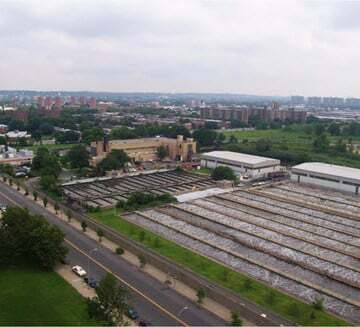 The plant is based on a 57.3–acre site and serves about 283,000 residents in East New York, Canarsie, and Brownsville. It has the capacity to receive, clean, and disinfect as many as 170 million gallons a day of combined sanitary and stormwater flow. The project will also be adding a fifth preliminary treatment tank and will install new durable and energy-efficient main sewage pumps, process air blowers, and LED lighting, as well as a new green roof and large blowers installed indoors to reduce noise. Designs for all structures, as well as the location and installation of critical equipment, follows guidelines outlined in DEP’s Wastewater Resiliency Plan and meets the updated FEMA Advisory Base Flood Elevation regulations. ISI was launched by ASCE, the American Council of Engineering Companies, and the American Public Works Association, in 2011 to develop and maintain Envision. 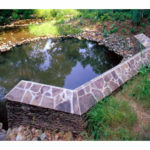 Learn more about Envision and ISI at sustainableinfrastructure.org.